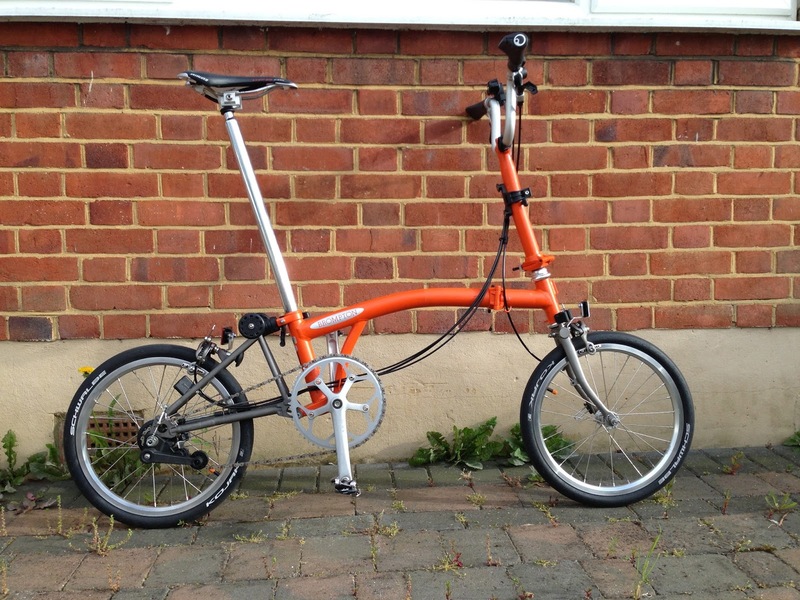 My Orange Brompton: More Additions to my Titanium Orange Brompton!! Okay the first addition isn't an addition to the bike at all. 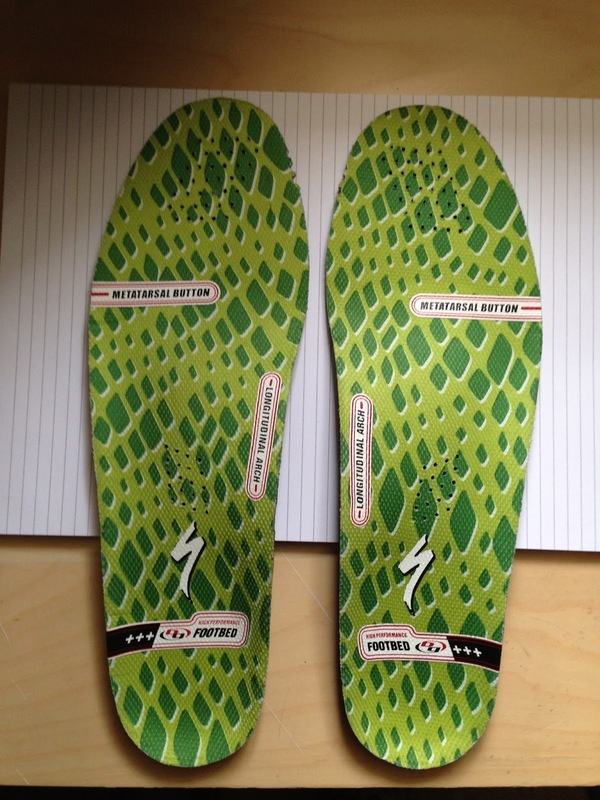 As a means to making my cycle shoes more supportive I bought a pair of green Specialized Footbeds. 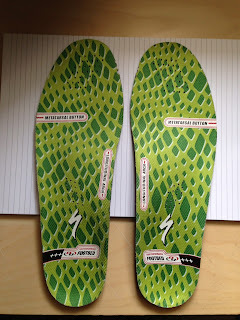 These are inner soles which have various grades of support. I went into a Specialized shop mid week and was told that these were the ones for me. They actually work rather well at supporting the foot but time will tell if they aid my poor knees. 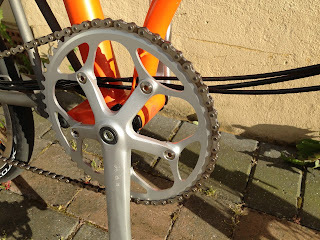 The first proper addition is my new 54T chain ring as you can see in the pictures below. This was recommended by a cycling Jedi Master called Laurence. 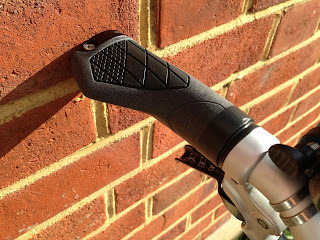 I wanted this as it will help on the long flat straights at next weeks Brompton World Championships. Fitting it is simple. Unbolt the old 50T chain ring and bolt the new 54T on. It fitted perfectly and looks rather good. A new slightly longer chain was needed but the whole process was fairly simple. The addition of the extra 4x teeth will serve to make the top speed that bit more. Having tested it out briefly today I can say that the top end speed will be slightly more than my 50T and the middle gears look quite useful. Even on a hill the gearing is such that only a little extra effort is required. There is a small change but nothing too dramatic. The old 50T chainring to be put back on at a later date. As I posted a few days ago I fitted my new Ergon grips and I must say not only do they look good they really do perform well in making ones hand position more comfortable. 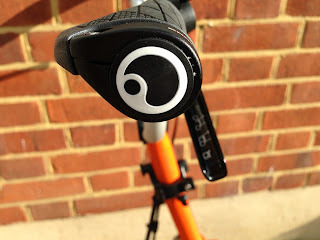 I really like them and will definitely be getting a pair for my Original Orange Brompton. 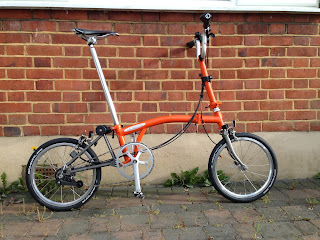 I have a couple more additions but they won't appear before the Brompton World Championships. All I can say is that I am looking forward to putting them on the bike. 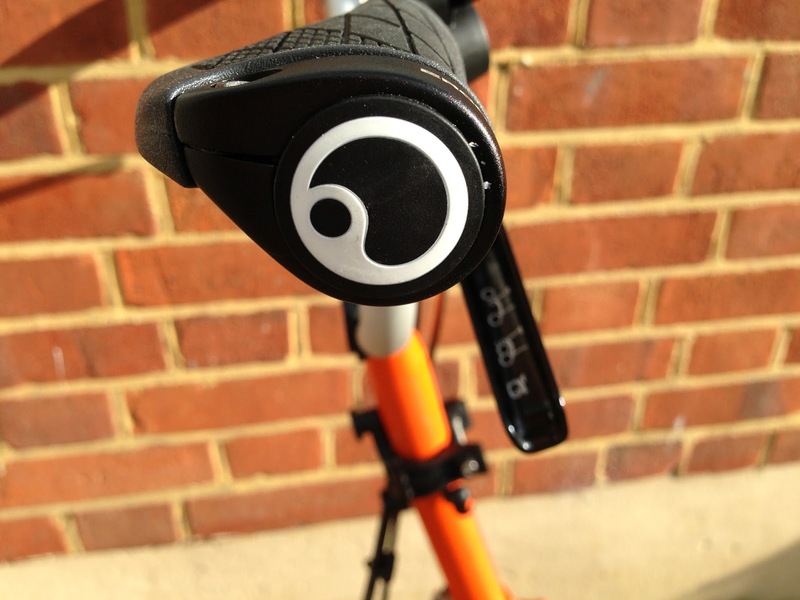 Do you have to cut the Ergon grips? Which model is this?